Talented South Australian jockey Jake Toeroek has reminded people of exactly how good he is by riding half the card at Strathalbyn on Wednesday. Since returning from a working holiday, Toeroek has a winning strike-rate of 24 per cent from his past 50 rides and has booted home six winners from his past 10, including the four at Strathalbyn. Toeroek went to England for almost three months with his partner and trainer Chantelle Jolly, where they worked with leading trainer Ralph Beckett, before spending the final two weeks enjoying the sights of France and Italy. "The trip was exactly what we both needed," Toeroek said. "Chantelle got to learn and see different training techniques before joining her dad (Richard Jolly) in their partnership and I got to ride some amazingly bred animals and learn from jockeys with different styles and philosophies. "I've come back refreshed, hungry and wanting to work hard so that I can get some good opportunities over the next few months." It's clear that trainers are certainly taking note of the form that Toeroek is in and the decisions that he's making during races. "Today she was given a 10-out-of-10 by Jakey boy, he's flying at the moment," Sam Burford said after his horse Sanima Star won at Strathalbyn. Fellow trainer Richard Jolly shared similar thoughts of his recent form. 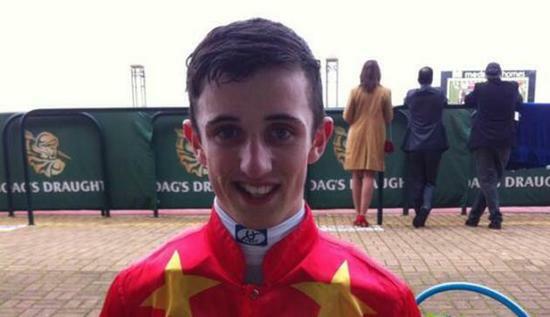 "Jake is riding sensationally well at the moment and is assessing things perfectly," he said post-race. "He's had a big day today and he's deserved it with his consistency since he's been back."